Darth Maul actor Ray Park has expressed interest in choreographing lightsaber duels for future Star Wars movies. Park, of course, first played the Sith Lord in 1999’s Star Wars: Episode I- The Phantom Menace, before returning to the role at long last in this year’s Solo: A Star Wars Story. As most fans are aware, Maul was seemingly killed in The Phantom Menace on Naboo. After murdering Qui-Gon Jinn, Maul was cut in half by Obi-Wan Kenobi and fell backward into a pit. While Park has only made two appearances in the live-action Star Wars films, it was explained in the animated series, Star Wars: The Clone Wars, that Maul actually lived through this ordeal thanks to the Force and his hatred for Kenobi. That being said, Solo: A Star Wars Story officially made Maul’s survival part of the live-action canon by revealing him as the leader of the criminal organization Crimson Dawn. Park’s return to the role was a big surprise for many fans, but now it seems he wants to continue his Star Wars career on the big screen. 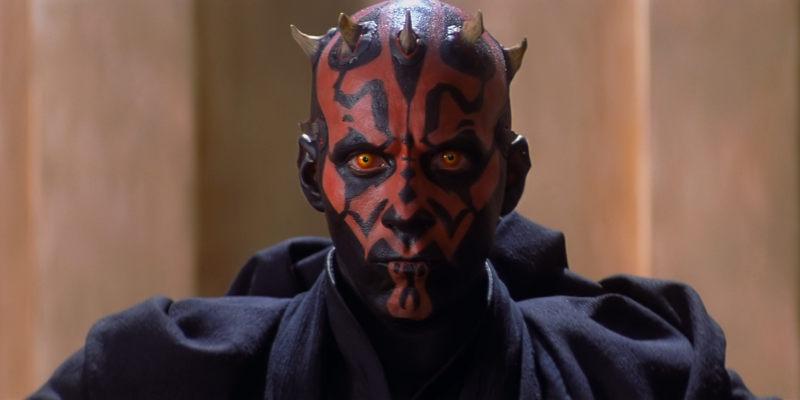 Even though the prequel films aren’t considered a high point for the Star Wars franchise, the character of Darth Maul is widely considered one of the best parts of the prequel trilogy. While some feel Maul’s Solo cameo wasn’t a good idea, others were just excited to see the character return to the big screen. Kenobi and Maul had one final (and emotional) lightsaber duel in the animated series Star Wars Rebels, but with the Star Wars story spinoffs being (seemingly) put on hold, that battle may never end up being adapted for live-action. In short, Darth Maul’s future in the Star Wars universe is up in the air right now. Until more news about another live-action Darth Maul appearance is announced, Star Wars fanatics will just have to enjoy seeing the character on the Solo Blu-ray, when it is released later this month on Tuesday, September 25.